Now with lots of advancements in technology, these products are usually needed to be marked with a unique code, which is helpful in tracking and tracing the product. These codes are also beneficial in preventing the counterfeits of the products. Counterfeiting is a huge problem in the present market, and lots of brands are not only losing just the credibility and customer trust but also a massive chunk of their profits. Unique codes engraved on the products help in checking the authenticity of the products and tracking & tracing the product at each and every point in the supply chain. So this unique code engraving helps in brand-protection. This engraving can be done on both metal and non-metal products. Different types of engravers are used depending upon the material on which engraving is to be done. What kind of Laser Engraver do I need? You need to choose right kind of engraver based on the material of the product, thickness, and desired engraving speed. Usually, two types of engravers are used for engraving. This engraver is suitable for working on metals, coated metals and certain types of plastics. 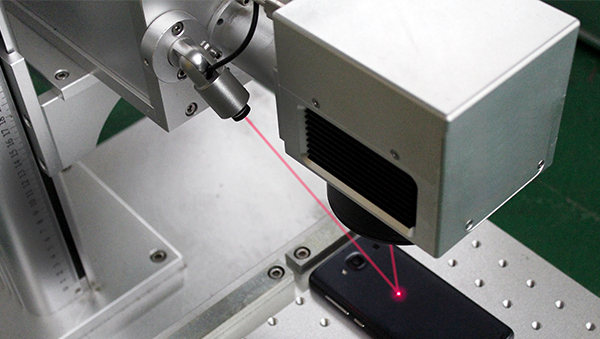 Fiber lasers usually function on lower running cost, lower power consumption and need little maintenance in comparison with CO2 lasers. This type of laser engraver is based on carbon dioxide mixture, which is stimulated electrically. These engravers are mainly suitable for working on non-metallic materials and plastics. These engravers are the most popular ones and have high efficiency. This type of engraver can work on various kinds of materials such as plastic, wood, glass, textiles, paper, acrylics, leather, stones. What kind of surface type will I be engraving on – plain or curved? After deciding, whether you need Fiber laser or CO2 laser, you also need to be sure that the engraver works neatly and engraves beautifully on your product’s surface. Here you need to see, what kind of surface does your product have. Usually, all the engravers work fine on plain surfaces, but not all can output expected quality of engraving on curved surfaces. If your product has a curved surface, then your engraver needs to have 3D adjustment capability. This is another very important criteria. Different engravers offer different engraving speeds. E.g., usually, an engraver with the rate of 20 markings of 50 characters QR code per minute would cost close to $40,000 per automated setup on the assembly line. For a small setup, you would usually need a manual setup where an individual can operate the laser for engraving. 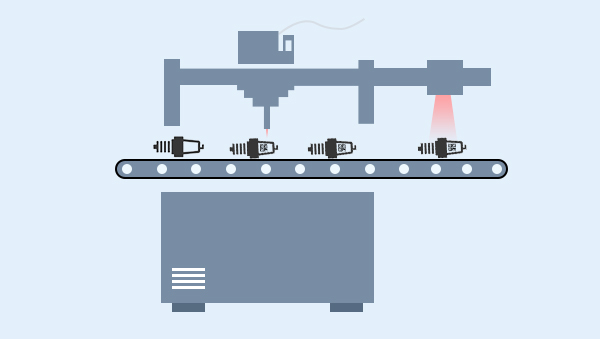 For a big automated production setup, you would need a complete end to end automated solution which can be integrated with your assembly line. In automated setup, laser engravers are controlled by pre-programmed PLC logic based on the type of functionality you would like to achieve. In a typical setup a separate local computer machine (LCM) integrates with the PLC logic center of the laser, LCM takes care of all the logic to talk to the outside world (such as cloud servers or central servers’ APIs) and then sends the commands to the PLC. LCM also takes care of aggregating the data from the quality check reader and sending it to the cloud servers or APIs. For a big automated production setup, you must make sure to have a quality check reader to synchronize with the engraver to read the output of the engraver and asses the quality. Usually, the LCM takes care of synchronizing the complete setup. Readers are generally much cheaper than engravers, may cost from 15% to 25% of the engraver. How easily can the engravers be included in the production cycle? The engraving solution that you choose should be flexible and easy to include in the assembly line. Setup of the engraver should not disturb the current production cycle. Specifically, the rate of the movement of product items on an assembly line (or conveyor belt) should not be interrupted. Will the engraver work on the type of material of my product? Will the engraver work on the type of surface of my item? The speed of engraving per minute? Do I have to slow down my production rate? Is the markings’ quality-check in place? Can the engraver status and output be checked remotely? Can the input to the engraver be controlled remotely? If you find the answers to these questions satisfactory, then you are all set!